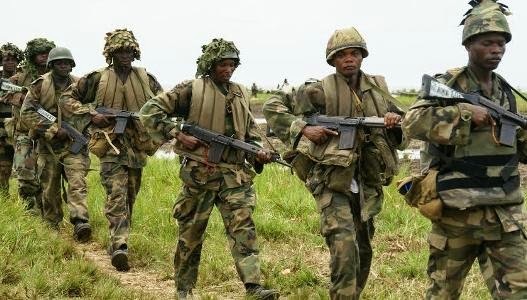 Over 50 terrorists died as troops repelled a daring attack on troops’ locations in Damboa, Borno State yesterday night. The terrorists had stormed the troops’ bases and police locations while most of the troops were out on patrol of surrounding villages. A total of 5 soldiers and a senior officer were also killed while repelling the attack. A cordon and search of the locality is ongoing, while the bodies of the fallen soldiers have been recovered and deposited in the military morgue. The wounded are also receiving treatment in the military medical facility. In another development, troops on patrol around Baga area have recovered explosives and rifles concealed in a truck loaded with fish and other commodities. Four suspects have been taken into custody in connection with the incident. At Konduga also in Borno State, a suicide bomber in a Golf car yesterday crashed into a checkpoint killing himself, a policeman and 3 Vigilante Youth members. Jay Z and Beyonce cut ties with Kanye West and Kim Kardashian?